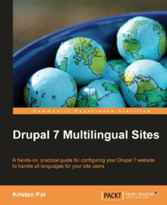 As promised at the end of the previous piece of my Drupal 7 multilingual post series, this part is turning to developers to spread some awareness of new features and possibilities in Drupal 7. We've talked about context support and new language selection features, and I'd like to share some tips with you to use them right. 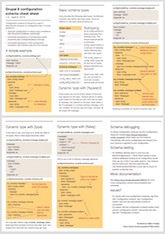 I'd also like to share an updated version of my Drupal 6 localization cheat sheet as well as its appropriate version for Drupal 7 with you and look at how can you hook into the heart of the language system. Simple, right? Well, as discussed, context should be used to designate logical context, to support the meaning of the short string. Drupal core does not have many contexts, and we are still to make up clear guidelines to follow. To see contexts used by developers so far, you can join the Test language group on localize.drupal.org and explore the contexts exposed on the Translate tab. You'll be able to filter for the strings using those contexts and see which modules use them (until we come up with some better solution to expose list of contexts used for developers). So choose your context name carefully if possible and consult the list of existing contexts. If you are unsure, ask translators. Issues marked with string context is the list of items related to introducing context to modules. Now context is not equally supported on API functions. format_plural() can take context equally well with the same syntax. When using st() and therefore when utilizing get_t(), you'll also be able to rely on context support. // provide string context for the title. A real stepchild in localization is watchdog() which kept the Drupal 6 API entirely, so it can only be used to translate strings with t() and does not allow for contexts to be specified. Because logs by design would store messages in English, there is no workaround for this. However, log messages are the least likely of all to encounter strings, where a context would be needed. Project .info file strings have a similar fate. While title and description text is used and translated from .info files, context cannot be specified. Maybe in some cases, module names would be happy to use context, but its not possible in Drupal 7, unfortunately. If you are not already an avid Coder module user, you either know the rules too well or you should become more familiar with this nice tool. It includes the Coder review module, which helps you review your code for mistakes in using the Drupal APIs. While it does have some built-in support for localization API checking, its best to go and use the real deal instead. Install the Translation Template Extractor module as well, which is used to parse Drupal modules for translatable strings. If something can tell you about mistakes in using the API, the parser itself can. With tight integration into the Coder review API, it will provide all the warnings it finds when parsing your code to help you use the localization APIs better. Code review results from different review modes are displayed all together. On the picture above, the second one is a translation related warning. 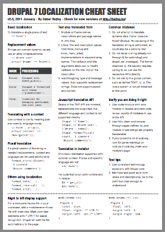 I published a Drupal 6 translation cheat sheet in 2007 November, and for the Drupal 7 release it was about time to revise the Drupal 6 version and present a Drupal 7 version as well. The original version of the sheet was not a good fit for print and also lacked some tips and improvements made since then. We now have localize.drupal.org, more experience with how texts should be written, a slightly different API in Drupal 7 and notably, RTL theme support tips were missing from the Drupal 6 version, despite full support for those in core. So here are the more print friendly, updated versions applicable to Drupal 6 and Drupal 7 respectively. I built two versions on the interest of being able to focus better on what's supported in each version. Take them while they are hot! Drupal 6 knew only one language per page (which was in the global $language variable) and also only offered a small set of prebaked selection algorithms for picking that language. When that language was picked, other modules relied on that value for displaying content or interface in that language. Drupal 7 takes the language concept to a whole new level and introduces the concept of language types instead. Now the interface language is just one type with core providing two more types: content language and URL language. Even though content language and URL language cannot be configured with core, they are used by Field API and l() respectively. These built-in types are defined in locale_language_types_info() which is in itself and implementation of hook_language_types_info() that any module can use to define more language types. Drupal defines a global language variable for each type with drupal_language_initialize(). Maybe even more useful is hook_language_types_info_alter() which lets you alter language types, such as provide a configuration interface for content language or make interface language fixed to some specially coded algorithm. Stay tuned for upcoming pieces in my article series for how contributed modules take advantage of these features (you probably don't need to write the code yourself). Beyond multiple language types, Drupal 7 also supports a configurable set of negotiation methods for each separately. While core has URL information (path, domain), session data, user setting, browser preference and default language fallback as possibilities, contributed modules can extend and alter these options. If you wanted to implement an IP address based language selector for example, you could use hook_language_negotiation_info() to add an option to the language configuration user interface, that administrators can then enable. Of course there is a corresponding alter hook as well and you can use these in conjunction with the above mentioned language type hooks to fix certain languages to your choosen negotiation methods, or to limit selection of negotiation modes per language type. This is not all there is to the new language API, but these are the main new components. 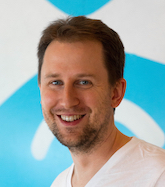 See locale.api.php for the finer details and other tidbits. As promised earlier, we are going back to looking at features (versus APIs) and next up is content translation. We will see it is not really easy to define what is "content" in Drupal, even less so with Drupal 7. Stay tuned. Ps. until then, you can still check out part 2 and part 1 of my series. Fantastic series of posts - thanks. Could you elaborate on the use case for having a different interface language from the content language? I'm really enjoying your D7 experience in localization. Great writings! These articles really give an idea of the awesome work made in D7! Before the next one you might find worth reading my reply on Randy Fay's blog. We are trying to build one multi-lingual site. How to enable the pdf option for multi-lingual pages, PDF is coming good for english, for other languages, its coming as boxes. How to do. Please help. Sounds like you should discuss this in the issue queue of the Drupal module you use to generate those PDF versions of pages (if you use a Drupal module for it that is).